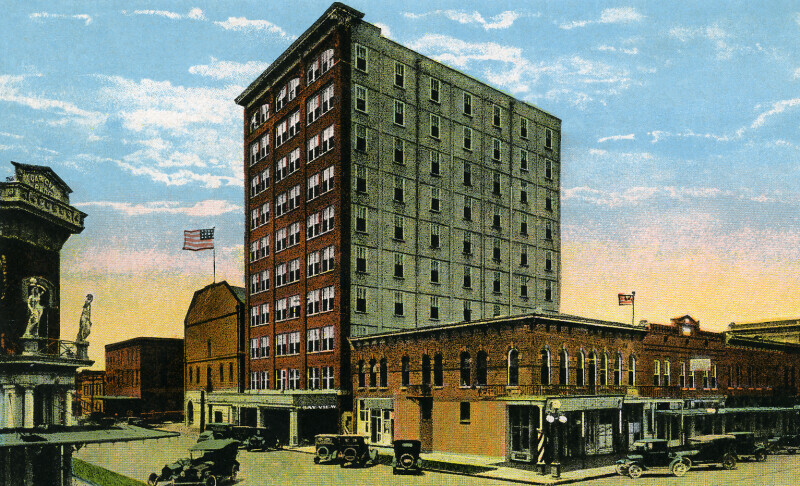 The Bay View Hotel is a ten story building, with a brick façade. The side of the building appears to be unadorned concrete. The building was started in 1912, and demolished in 1980.